Excellent product offering superb support, comfort and warmth. Used for cycling they offer excellent protection from the cold weather. Good reliable organisation. I did not receive my order in the specified time period. I was able to reach the staff online as well as on the phone. Order made it to Australia a week or so later. Will go back for future shoppings for myself or the family. Best purchase ever! After hiking 5 to 14 miles on strenuous terrain I would always consume ibuprofen to limit the swelling and stiff muscle pain that followed. EACH AND EVERY TIME. 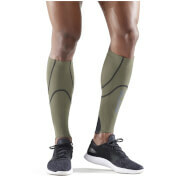 After wearing the Skins A400 Compression tights while hiking over 150 miles in the last two months, I do not need ibuprofen to recover comfortably. No swelling or muscle pain, especially in my knees that always ached for days after. Same response from my wife who is a nurse on her feet all day. Aching is GONE!